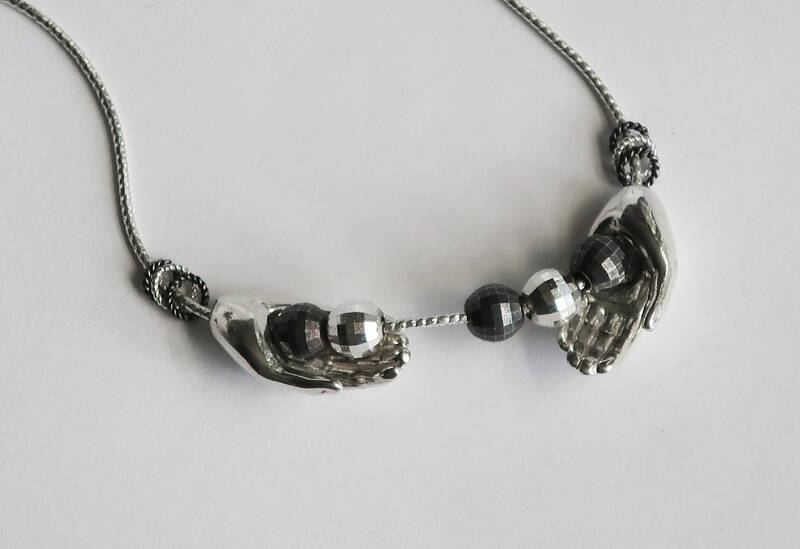 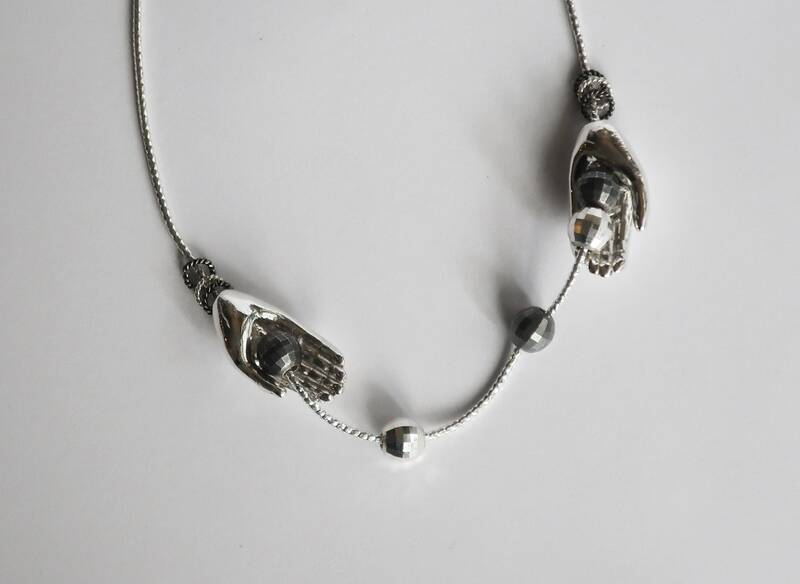 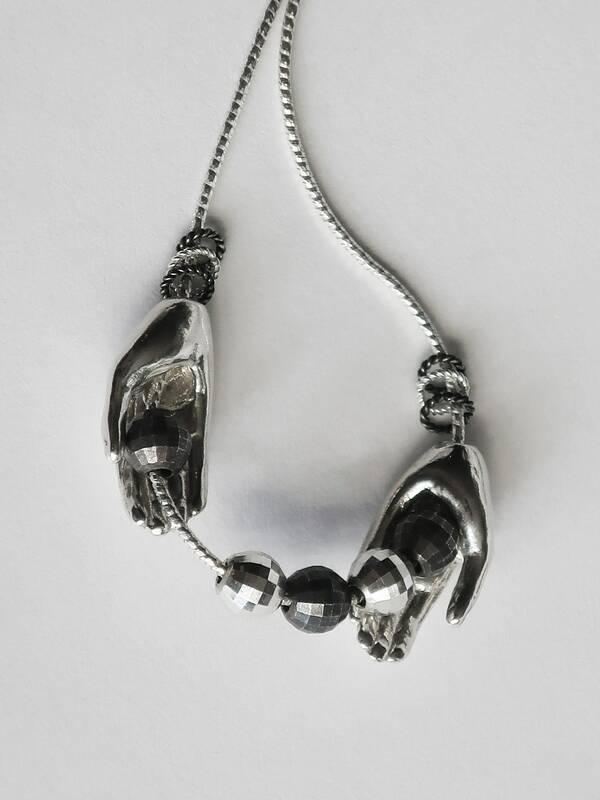 2 solid Sterling Silver hand beads cradle 3 or 5 faceted Sterling Silver beads. 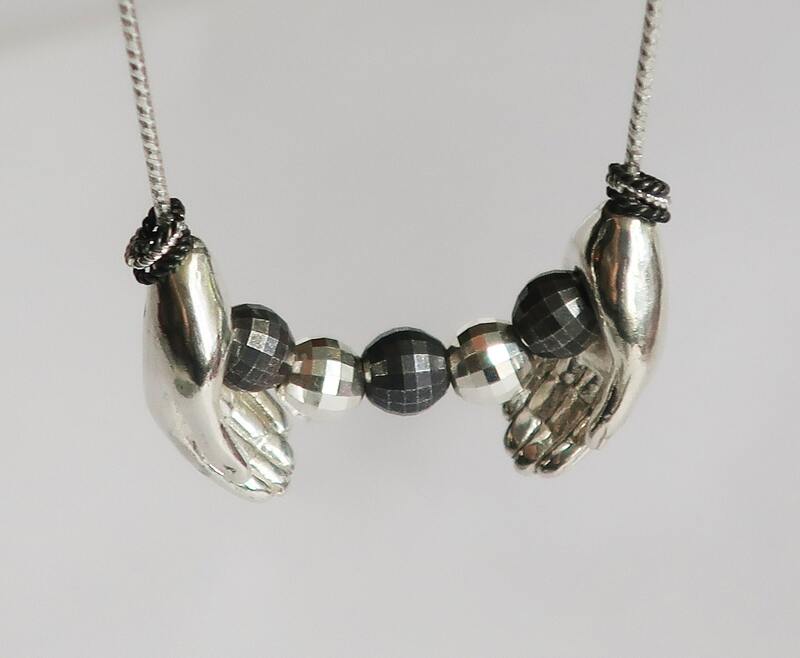 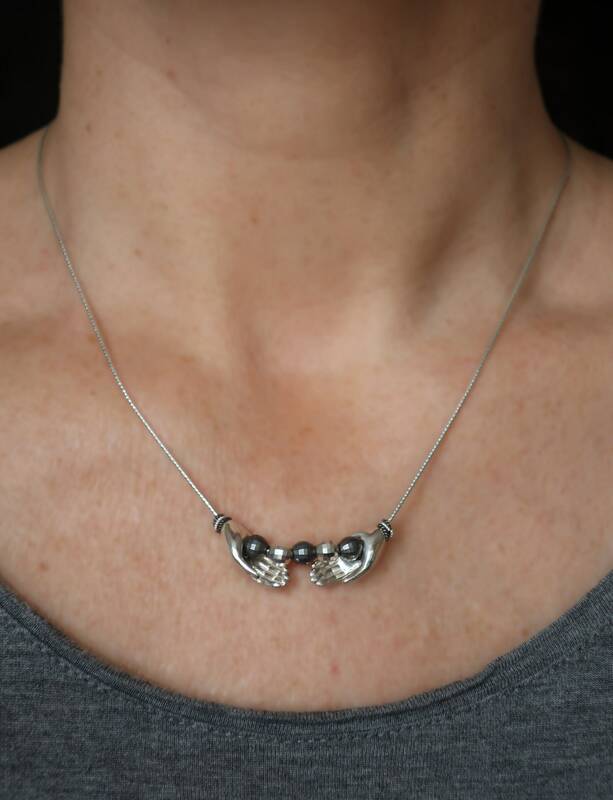 As the necklace moves with you, so do the hands and balls. 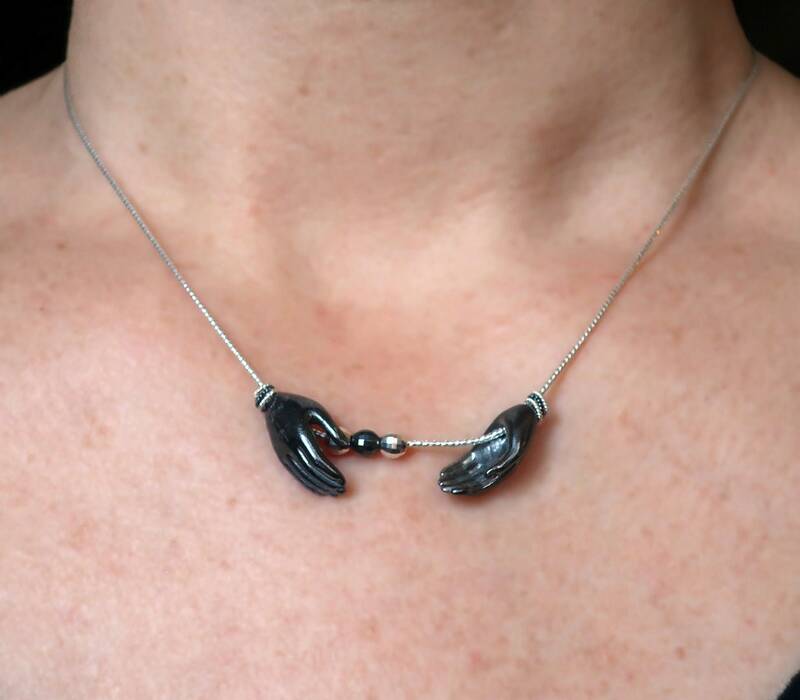 Accented with sterling silver twisted hoops and hung on a 1mm wide, 45.72cm (18") long chain or 50.8cm (20"). 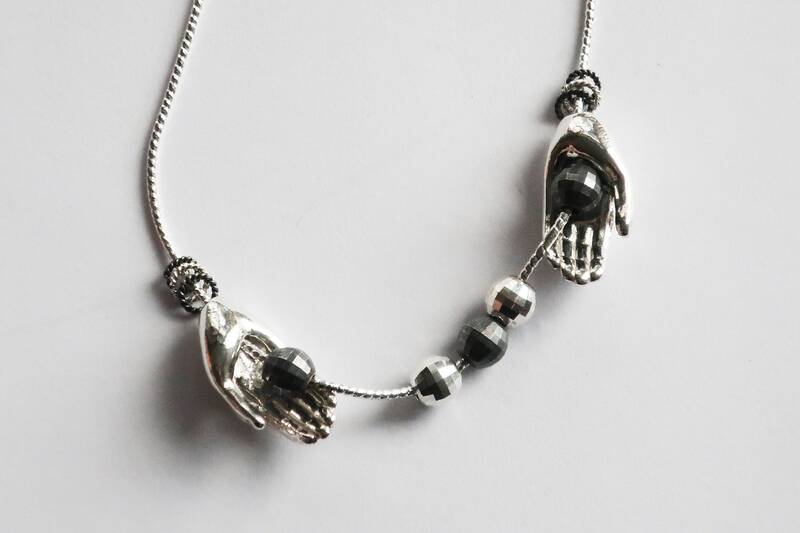 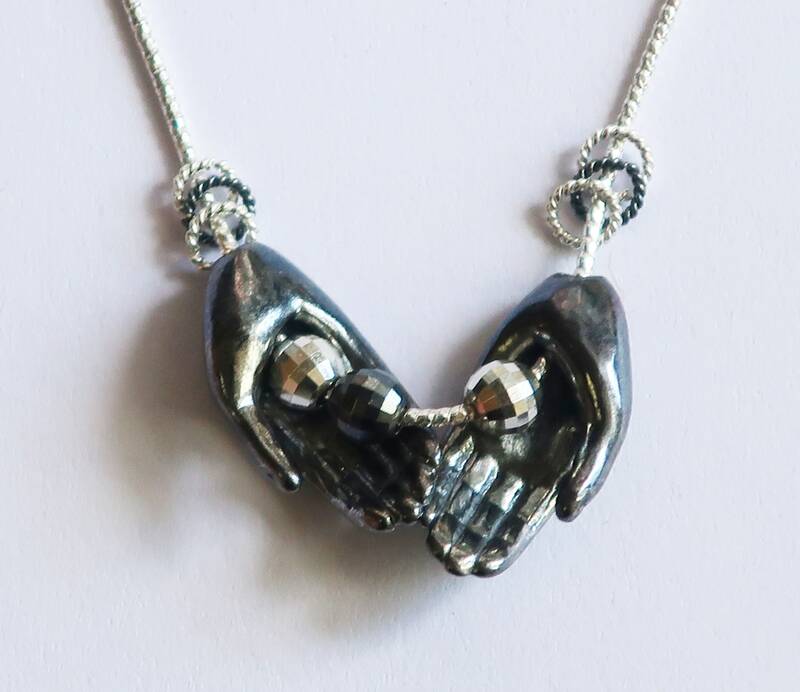 Hands are available in bright polished white silver or oxidized black. 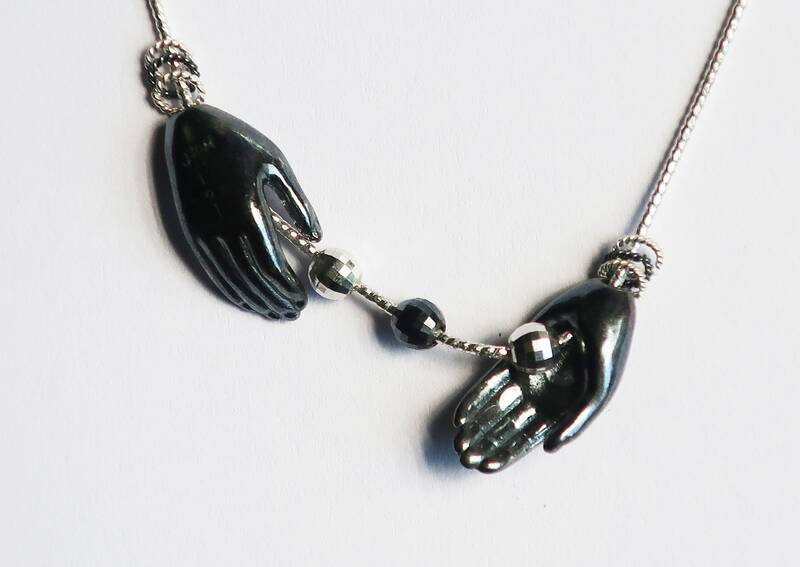 Listing price is for 1 necklace.